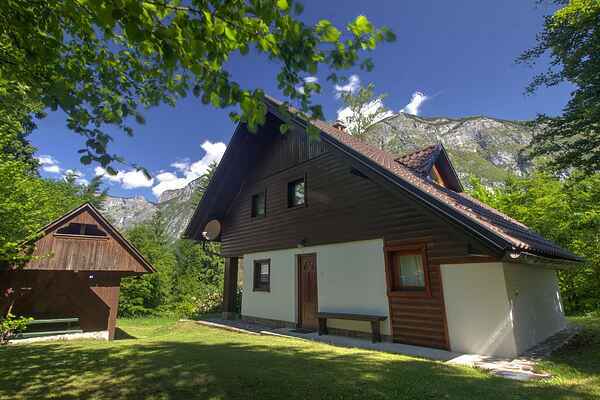 Located only 300 meters from the magnificent Lake Bohinj and surrounded by lush forests and breathtaking mountains, this cozy apartment offers ideal conditions for relaxing and fun-packed vacations. The apartment is situated on the first floor and features a spacious living room with kitchenette, a bedroom, a bathroom, a balcony and a terrace on the ground floor. Ski and bike storage is available on the premises. The nearest restaurant is just a walking distance away. Located at the edge of the Triglav national park, the apartment offers ideal starting-point for various sports adventures. Hiking or mountaineering in the Triglav national park, rock climbing in the nearby craigs, fishing for trout in the Sava Bohinjka, canoeing on the lake, skiing, off-piste skiing and cross-country skiing in the winter, freeriding a bike down from Vogel resort or just lying on the beach and enjoying the sun and the incredible views are just some of the activities available in the Bohinj valley. Cable car to the Vogel ski resort is just 300 meters away.